One thing is for sure, if you mess with cars on any level, you will be bumping into electrical problems sooner rather than later. Having some kind of knowledge of the subject pays dividends, not only in the health of your particular car of interest, but also in your own ability to understand the world we live in. 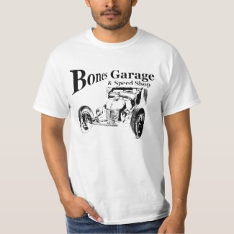 There seem to be 2 kinds of car people, ones that embrace their machine and want to know more, and those that don’t. 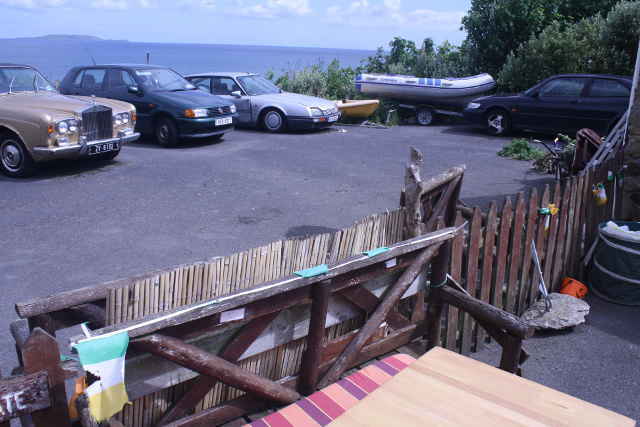 I met this guy in Ireland, had a little coffee shop on the edge of the cliff, with 4 cars behind his shop. He was an enthusiast (one was an old Rolls Royce), but the only running car was this old Saab. The others were down because he hasn’t been able to find someone to look at them for a price he was willing to pay. One thing he wasn’t willing to do was figure them out himself. Well, if you are human, you can figure this stuff out. 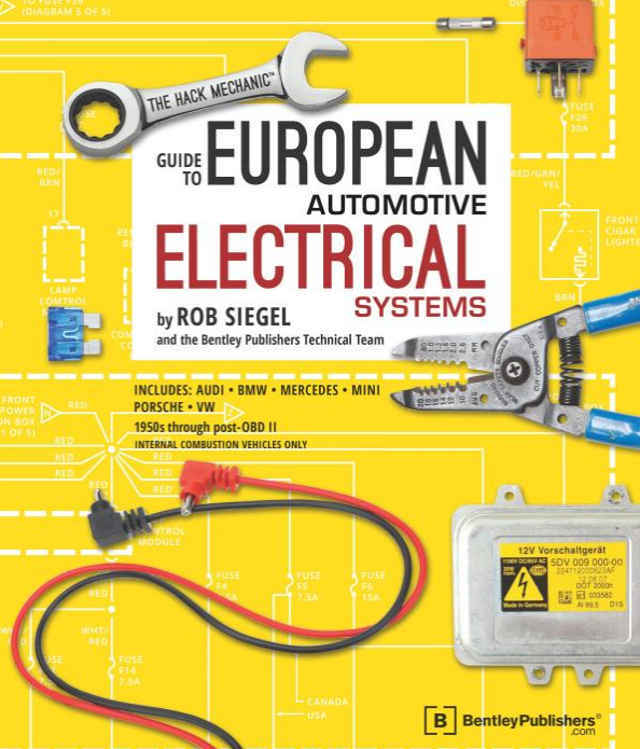 This book, The Hack Mechanic’s Guide to Electrical Systems, will help you figure this stuff out. It’s better if you have an older car (and possibly European) to get the most out of this guide, but it does introduce you to concepts used on the latest machines. Of course, the newest cars will neccessarily get more expensive to fix, due to the scan tools and equipment and software needed, and this book may not help in this case. But it will help you understand what’s going on, and enable you to make better decisions about what to do about it. The book is only 40 bucks, and is published by Bentley Pulishers, who have been making car repair books forever. You can get it on Amazon along with everything else in the universe, and would make a good addition to your toolbox.